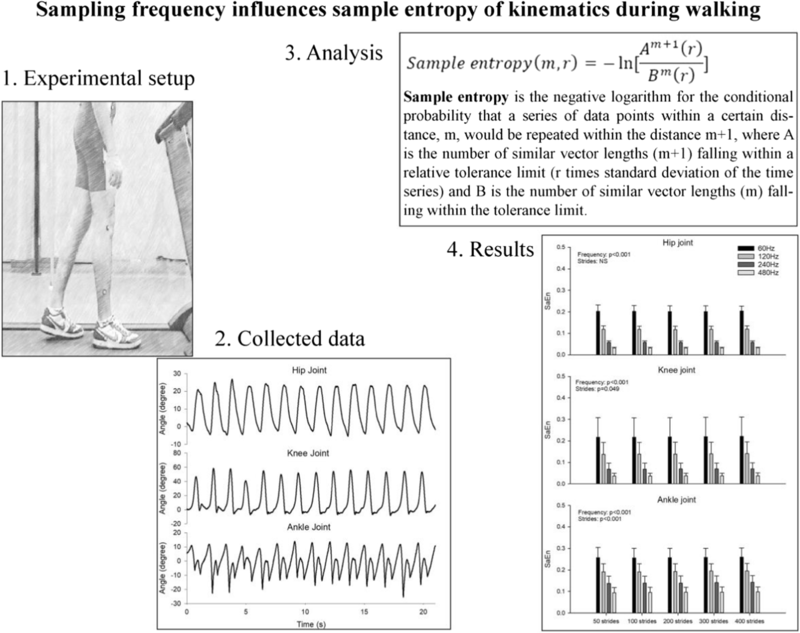 Sample entropy (SaEn) has been used to assess the regularity of lower limb joint angles during walking. However, changing sampling frequency and the number of included strides can potentially affect the outcome. The present study investigated the effect of sample frequency and the number of included strides on the calculations of SaEn in joint angle signals recorded during treadmill walking. Eleven subjects walked at their preferred walking speed for 10 min, and SaEn was calculated on sagittal plane hip, knee, and ankle angle signals extracted from 50, 100, 200, 300, and 400 strides at sampling frequencies of 60, 120, 240, and 480 Hz. Increase in sampling frequency decreased the SaEn significantly for the three joints. The number of included strides had no effect on the SaEn calculated on the hip joint angle and only limited effect on the SaEn calculated on the knee and ankle joint signals. The present study suggests that the number of data points within each stride to a greater extent determines the size of the SaEn compared to the number of strides and emphasizes the use of a fixed number of data points within each stride when applying SaEn to lower limb joint angles during walking. 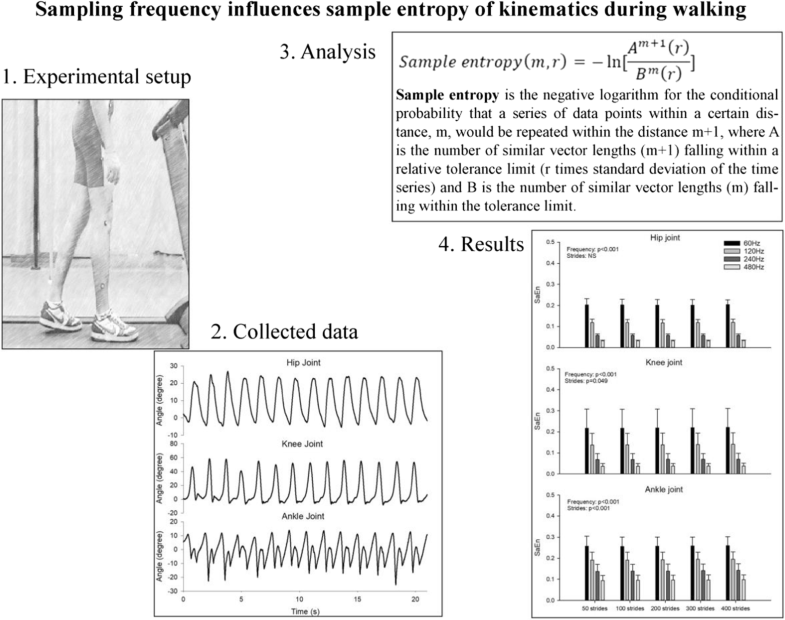 Sampling frequency influences sample entropy of kinematics during walking. The online version of this article ( https://doi.org/10.1007/s11517-018-1920-2) contains supplementary material, which is available to authorized users. The authors would like to thank Sidney Baudendistel and Kristen Watson for their assistance during data collection. 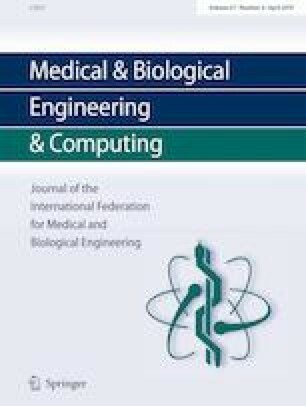 PCR, JM, and JMY conceived and designed the study, JM, WD and JMY performed the experiment; PCR and WD analyzed the data; and PCR, JM, WD, and JMY interpreted the results, drafted, edited, and approved the manuscript. Funding for this project was provided by the National Institutes of Health (P20 GM109090).